If you are in the bar or restaurant business, you already know how much competition there is. Attracting customers can be a difficult task because there is so much choice out there. To make your business successful, you need something that makes you stand out from the crowd. You will become well known for this unique selling point and people will want to visit you because of it. Attending community events is an easy way to get your brand known and recognised. Setting up a stall whenever there is a local gathering allows you to sell your products to people you wouldn’t usually get to meet. This is a great way to get people talking about the quality of the food and drinks you serve; they will often visit later for more! Offering mixology or cooking classes gives people the chance to learn more about your business and have a great time in the process. This kind of thing usually attracts birthday and stag/hen parties, getting a lot of customers into your establishment with plenty of money to spend. Having dishes or drinks relating to the current season keeps your menu fresh, constantly offering your customers something new. Offering deals for events such as Valentine’s Day or Christmas will attract more customers. You could also combine these seasonal events with deals and marketing campaigns to increase awareness even further. Forming a partnership with a local charity can be beneficial for both parties. Donating the profits from a certain dish increases interest and profit, as customers will usually purchase additional food or drink. Saying you will donate a percentage of profits from your slowest night of the week is a simple way to get more people through the doors. Make sure that local news organisations are aware of your new partnership. 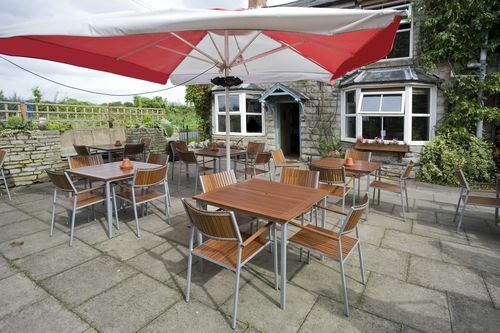 An outdoor seating and dining area gives your business more flexibility. It gives people somewhere to enjoy the weather in summer and to shelter from rain in the winter. Using an awning outdoors also gives you valuable advertising space, great for attracting even more customers. Having an outdoor area also increases your amount of floor space, allowing you to cater to even more people. Do you run a restaurant? If so, how have you made it stand out from the competition?